Professional obligations are spilling into the realm of the personal among companies that want to monitor employee behavior. The danger is that we could lose the privacy of our actions, our movements, our physiological and emotional states, says one expert. Professional obligations are spilling into the realm of the personal among some companies that want to monitor employee behaviour, such as the California-based Buffer. 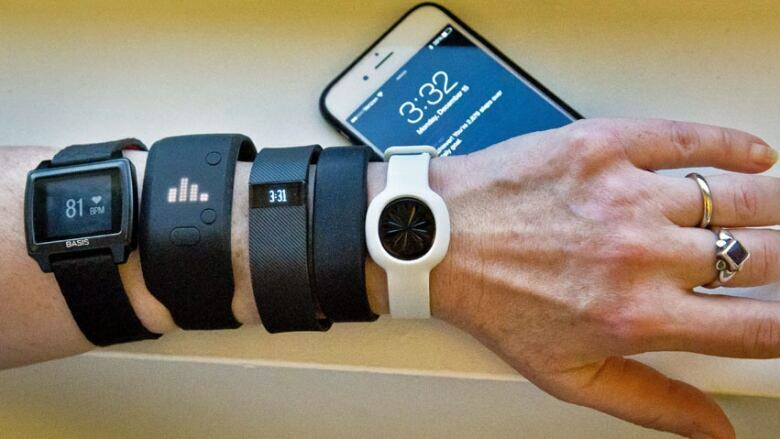 The tech company provides Jawbone wristbands — which monitor health indicators such as how much walking a person undertakes as well as sleep patterns — to their employees, and that data is shared among colleagues in the spirit of personal improvement and productivity. The U.K.-based company The Outside View, a predictive analytics company, also recently gave staff wearables and apps to measure their happiness, sleep patterns, nutrition and exercise around the clock in an experimental project. "The idea is: what is the status quo as an organization and how do we make everyone five times, 10 times more efficient," chief executive Rob Symes told the Financial Times. Kenneth Goh, a professor of organizational behaviour at Western University's Ivey Business School, said that he prefers third-party models like that of Humanyze that gather data anonymously and aggregate it with the goal of helping the employee help himself. He is dubious, however, that monitoring a worker's personal time will help a company achieve its business goals. Goh also cautions that using data collection as a form of performance management could backfire and actually curb innovation. "It becomes too Orwellian," he said. "There have been studies to show that workers actually thrive when they have some degree of privacy. They do more trial-and-error learning, they're more willing to make mistakes in private." Goh also says that the threat of hacking should give companies serious pause. In particular, he suggests companies that give workers devices to wear around the clock may in fact be making themselves vulnerable in the realm of corporate espionage. Information is powerful, he says, and will be used to gain any advantage in corporate dealings. He notes that the loss of privacy to hackers in this realm could have immeasurably profound consequences. "It's bad enough that we lose control of our identities with threats of identity theft," he said. "I think it's even worse if we lose the privacy of our actions, our movements, our physiological and emotional states. I think that's the risk."